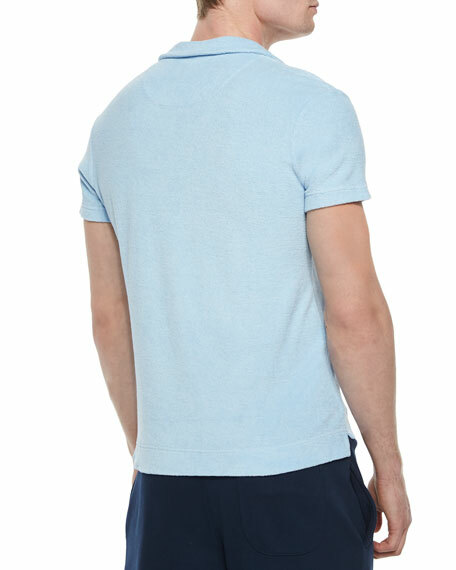 Orlebar Brown polo shirt in soft terry. 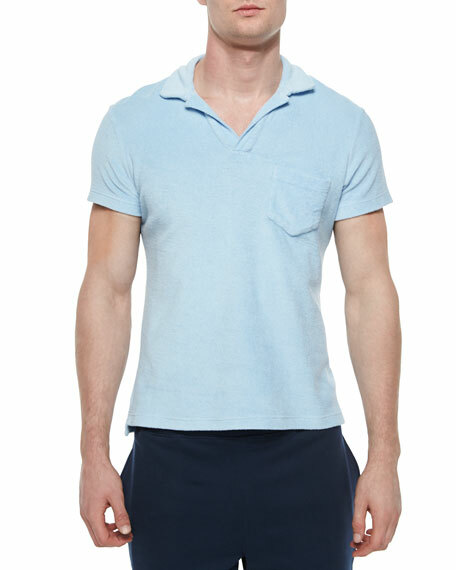 Short sleeves; chest patch pocket. Side slits with extended back; pullover style. For in-store inquiries, use sku #157509.